There's no shortage of Android launchers on Google Play, and by now you probably already have a favorite. We're particularly fond of Nova, but this new one, called Everything.me, puts a pretty cool new spin on your typical smartphone experience. Rather than just focusing on how your phone looks, Everything.me curates apps into categories when you need them. It sounds a bit strange, but as the video demonstrates, the launcher adds a completely new dynamic. By simply typing or saying what's on your mind—Burritos, for example—Everything.me will show you all the apps that are relevant to your search. The launcher will even change your phone's background to reflect that search, creating a completely new experience for each time. And when you actually click on an app that's relevant to your search, that app will launch with the results already loaded up. 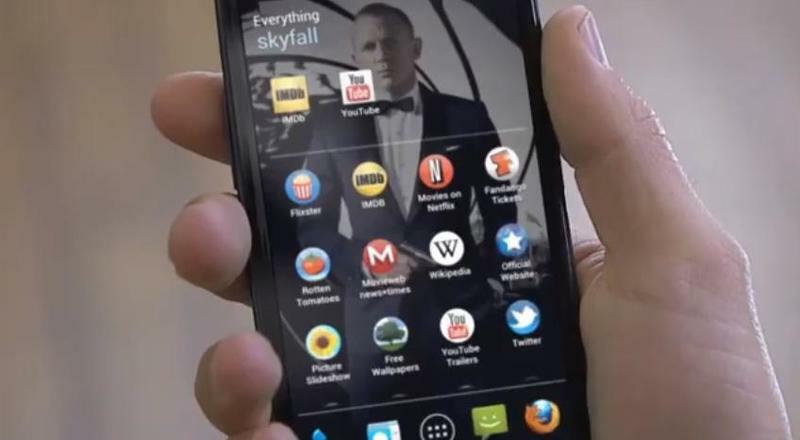 In the video, the app's creators use the James Bond film Skyfall as an example. Once the relevant apps appear, and one is clicked on, Skyfall will already be loaded up. Everything.me is currently in beta in the U.S. for devices running Android 4.0 and above, so availability is limited. It doesn't quite match up to the customization and elegance of something like Nova, but it adds a fresh level of dynamism to what can otherwise be a boring home screen.